We’ve given up on the connected fridge, how about a smart pavement instead? You know things are starting to get advanced when the pavement starts talking to you. 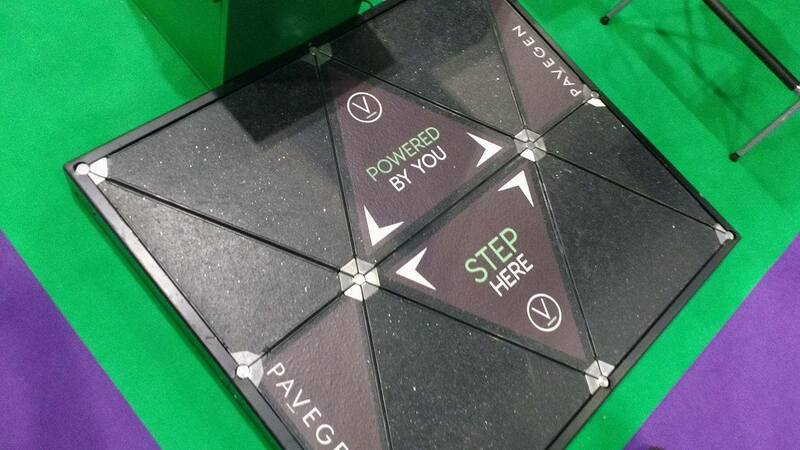 It’s the last thing you would expect, but coming soon to a street near you will be a smart flooring system from Pavegen. The idea is simple; when you step on the tiles, the weight from your footstep causes generators to vertically displace. The resulting rotary motion creates two to four joules of energy per step. Now it doesn’t sound like a lot of energy, and to be frank, it’s not. The system cannot compete with other renewable sources such as solar or wind, but there is one advantage; data. 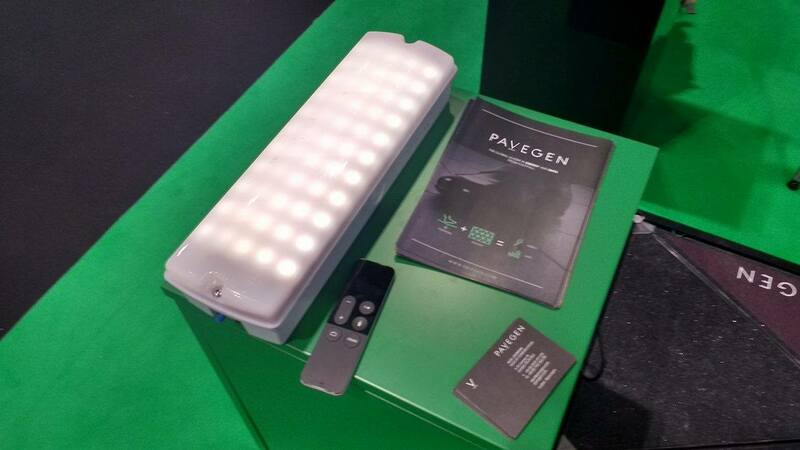 Inside each of the tiles there is a wireless beacon which connects to Bluetooth, allowing Pavegen to collect data (opt-in of course) to engage with third parties and customers. We had a quick chat one of the Pavegen booth bunnies Henry, who told us the team are trying to move away from the energy generation USP, building on the data themes, under the tagline ‘small amounts of energy, high engagement’. When you associate such systems with energy generation, one of the first questions from buyers is focused on ROI. But the payback period is far too low for this to every be an attractive proposition. When you tie in the data side it becomes a much more interesting idea. Henry told us that brands are using the technology as a customer engagement tool; the more energy you generate, there are potential in-store discounts on offer, or other rewards. In locations where there is a high amount of footfall, the amount of data which can be collected could be staggering. Think about a train station in rush hour, or a shopping centre on a Saturday afternoon, or even an everyday high street. It certainly is a clever idea, and one which has seemingly caught on. The team is currently attempting to raise another five million in pre-series funding, and already has seven permanent installations in Du Pont Circle in Washington DC, Bird Street in Oxford Circus, two in Kazakhstan, English School Bedford Modern, L’Oréal’s offices, as well as their investors offices RCP. Alongside the permanent installations there are a host of temporary ones such as sports events, airports or shops such as Sunglass Hut. This is another one of those businesses which show the power of the connected era. The number of ways to make money indirectly are staggering. While it would certainly be considered a slow-burner, we could think of numerous use cases for the information collected. Of course, there will still be the opt-in/privacy/ammonizing hurdles to negotiate, but these shouldn’t be too challenging. After all, you’re not just giving away your data, you’re helping the environment.